Hotelier, MLA (1941-1945), MLA (1946-1949), MLA (1950-1953). Born at Neepawa on 23 April 1892, son of Daniel Hamilton and Nellie Findlay, he was active in the Manitoba hotel industry, owning and operating the Aberdeen Hotel at Winnipeg for over 30 years. 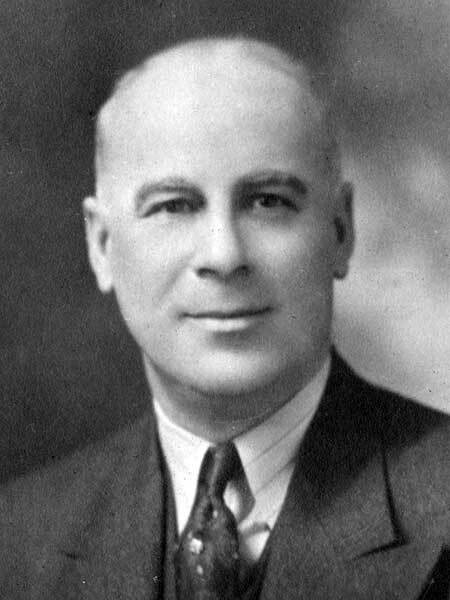 Elected to the Manitoba Legislature for the Rupertsland constituency in the 1941 general election, he was re-elected in 1945 and acclaimed in 1949. In 1929, he was made an honorary chief of the Pukatawagan Reserve, named “Chief Night Owl” for his ability to stay up all night. He was a member of the Masons (Empire Lodge), Khartum Shriners, and Order of the Elks (Flin Flon Lodge). He was active in breeding and racing horses, and was made an honorary Colonel by the Governor of Kentucky. In 1953, he represented the Province of Manitoba at the coronation of Queen Elizabeth II in London, England. He died at Winnipeg on 4 September 1965 and was buried in the Elmwood Cemetery. “Former MLA Roxy Hamilton dies at 69,” Winnipeg Free Press, 6 September 1965, page 5. Obituary, Winnipeg Free Press, 6 September 1965, page 19.